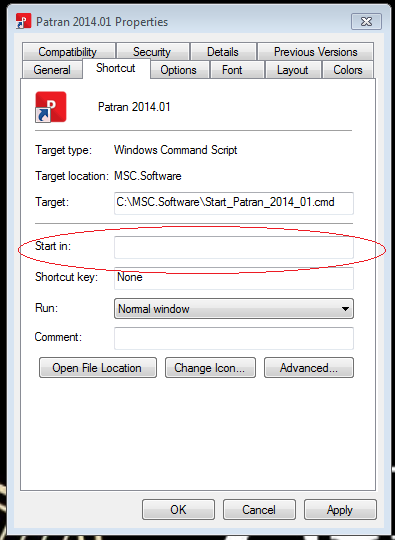 Right click on the Patran shortcut on your desktop, select Properties. Clear the contents of the Start in: box, or fill in the path to the subdirectory. If you leave the Start in: window contents blank, you can copy the shortcut and paste it into the desired working directory and launch Patran from there.